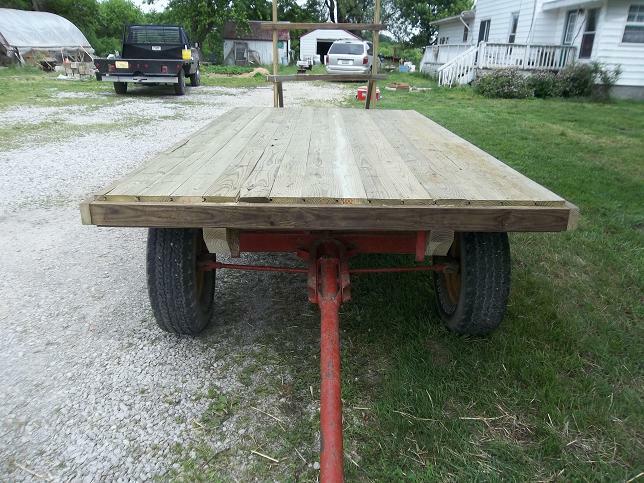 Yesterday we got the materials lined up so we could rebuild the wagon. Today, after a long, hard day we got the wagon back together. The kids were all there helping grandpa while I was at work. I came home in the afternoon and we got it wrapped up just in time to bale up the alfalfa. 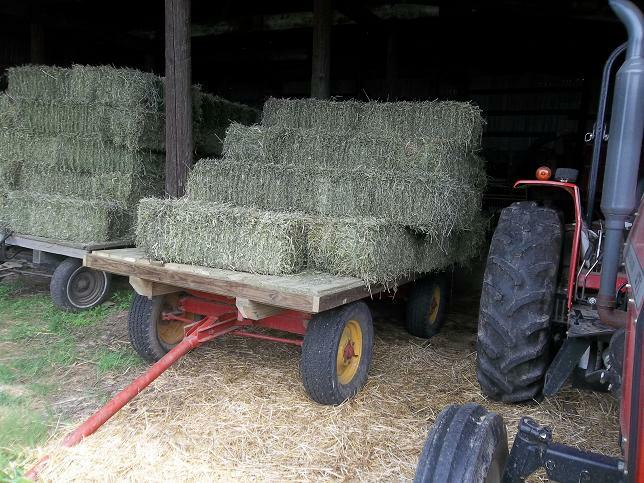 The wagon isn’t really finished, we just did enough to use it to haul hay. It was originally grain-tight with side walls but those will have to wait. We were running short on time so we just threw together a headache rack out of scrap material. We have plans for something more permanent. Then off to the field. We had a couple of hiccups with the baler but the bales are tight and heavy. Dad drives the baler, I catch, carry and stack the bales. It was a little breezy and about 75 degrees. I wish all baling weather was as nice. Here’s the rebuilt wagon loaded with hay. 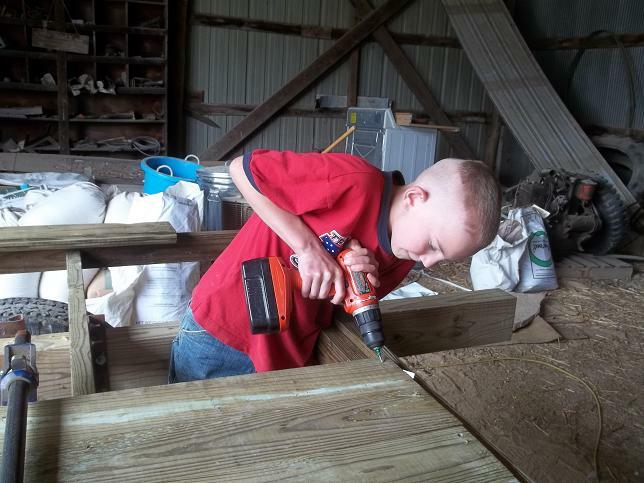 We have quite a bit of metal to put on to hold the sides in place…once we build new sides. But it’s not an impossible project. The icing on the cake was the ant colony that had moved into the hay elevator motor. The motor burned up so we couldn’t unload the wagons. Oh well. 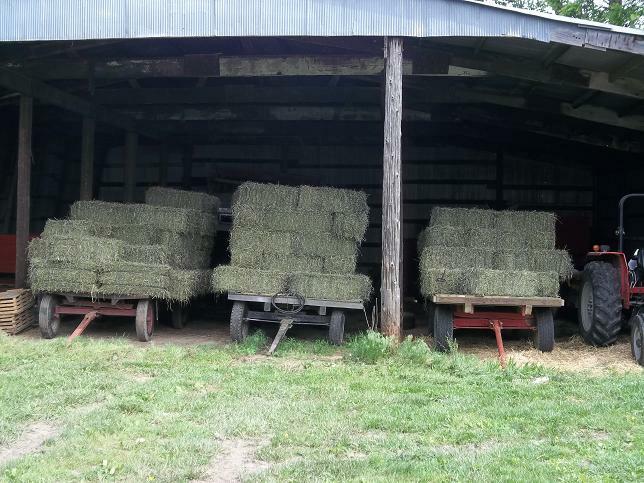 This entry was posted in Farm Equipment and tagged Alfalfa, Hay Wagon Rebuild, Running Gear. Bookmark the permalink. Awesome that you have a hay elevator! I was the hay elevator when we used to bale hay. It would take all summer for the scratches on your arms to heal…but I miss those times!